What is Pavilion by Stratco? In a nutshell, pavilions are a type of insulated roofing that gives you extra living space in your yard. They are very popular these days because they make your outdoor space more sophisticated and elegant. Pavilion by Stratco take pavilions to the next level. 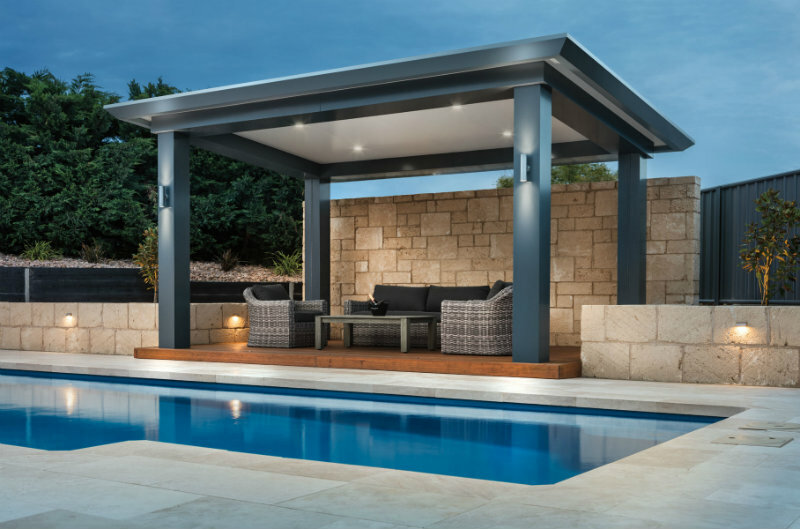 Pavilion by Stratco adds elegance to your property. The larger bulkheads and columns, the edge gutters and the classic architectural proportions have been designed carefully to help improve the look of any property. Installing Pavilion by Stratco not only makes your home look more beautiful, but it also makes it more valuable. It gives you added floor space, which allows you to enjoy your outdoor space whether it’s sunny or raining outside. Want a Pavilion by Stratco in your home? Contact Upright Building Services, an authorised Pavilion by Stratco dealer, for a free measurement and quote.